The Shiofunekannon-ji Temple in Ome City is an old temple that is said to have been founded by Yaobikuni during the Taika Era (A.D.645 – A.D. 650). In the mountains surrounding the temple precincts, round cut azalea grow in pink, red, and white, which fill the whole area when spring arrives. 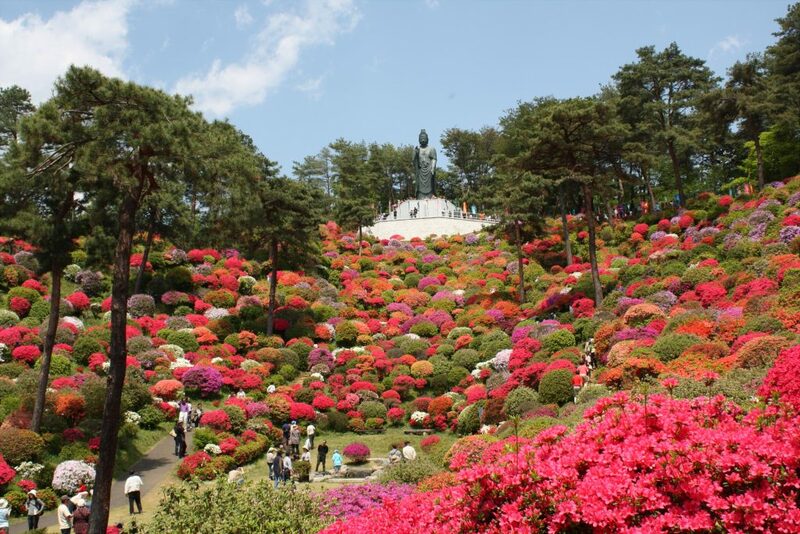 “Shiofunekannon-ji temple Tsutsuji (azalea) Matsuri Festival” is held from the middle of April to the beginning of May during the best time for viewing of these azaleas. A passage is has been established through the Azaleas where about 20 varieties, totaling 20,000 plants are proudly displayed for close inspection.